Gavin Cogden broke Ashington hearts on Saturday after hitting a stoppage time winner for South Shields at Mariners Park. It was a cruel blow for a Colliers side to take who, after trailing to an early opener from Gavin Caines, had hit back in fine style to lead 2-1 with goals from Kyle Downey and Lee McAndrew. Former Sunderland and MIddlesborough midfielder Julio Arca levelled from a penalty just past the hour mark before Cogden’s strike decided the issue. The home side took the lead in the fifth minute. A cross from the left by Dillon Morse saw keeper Conor Grant repel a header from Carl Finnigan, but the rebound fell into the path of Caines who stroked the ball into the net. Minutes later Shields could so easily have doubled their advantage but Robert Briggs headed a foot wide. Ashington then got back on terms with a great free kick from Downey. Ben Sampson won the set-piece 20 yards out and Downey hit a left footed curler into the roof of the net, leaving home keeper Liam Connell stranded. Five minutes later Sampson was the provider of a ball over the top of the Shields defence which released McAndrew, but he could not get enough height onto his attempted lob and Connell palmed away. However, in the 24th minute, McAndrew put the Colliers 2-1 ahead with a gem of a goal. Shaun Henderson floated a free kick from the right to the far post and when Ben Harmison rose superbly to out jump the home defence and head the ball across, McAndrew volleyed home from six yards. Before the interval, Ben Harmison drove narrowly wide from the edge of the area then he pulled the ball back for McAndrew whose shot was blocked. Early in the second period, Finnigan went close with an overhead kick before two incidents inside quarter of an hour had a significant bearing on the outcome. Receiving from Sampson, Ben Harmison played a first time pass into the path of McAndrew who was one-on-one with Connell but steered his shot narrowly wide. Briggs curled just wide then Shields substitute Andrew Stephenson slipped the ball through to fellow sub Cogden. The striker was going away from goal but Grant sent him sprawling with referee John Matthews immediately pointing to the spot. Grant dived the right way but was beaten by the power of Arca’s kick. After that the keeper distinguished himself as he denied Cogden, tipped away an effort from Finnigan then pushed over from sub David Foley. But in the second minute of time added on, Downey lost possession to Arca who picked out Cogden and the ex-Spennymoor striker, a nemesis against Ashington sides over the years, chested the ball down before sweeping it home wide of Grant. 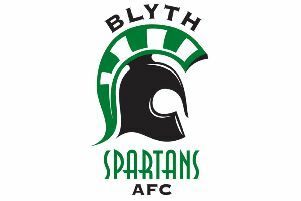 On Wednesday, October 12, Ashington are away to Billingham Synthonia in the League Cup then the Colliers take on Dunston UTS at Woodhorn Lane on Saturday, October 15. Ashington: Grant, Henderson, Salmon, Antony, J Harmison, Buchanan, Sampson, Downey, S Bell (Gunn 46), B Harmison, McAndrew (Dormand 74). Subs not used: Scott, Dunn, Christensen.